Our clients choose Stafford Property Management to manage their rental properties in Stafford, because we provide a full range of property management services, including marketing, advertising, applicant screening, rent collection, resident management, and property maintenance. As a full-service residential property management firm in Brisbane, we offer the most comprehensive and cost effective Residential Property Management Stafford solutions. Real Property Management is one of the industry leaders providing innovative processes and systems which are managed by a professional and well-trained staff of experienced managers, maintenance technicians, and accountants. Through our experience, our knowledge of the Stafford real estate market, and our excellent customer service, Real Property Management suburb provides stability and security in the often-challenging world of investment property ownership. Much of what we know as Stafford today was developed by the Queensland Housing Commission during and after the Second World War. Prior to this the area was home to a number of tanneries and slaughterhouses. 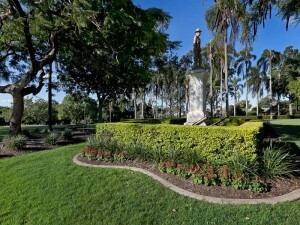 Stafford’s proximity to the Brisbane CBD is not the only attractive feature on offer – its relative affordability, due to the age and style of housing in the area, has made it popular with first home buyers and investors alike. As a result, many houses in the area have benefited from renovations and upgrades. These renovations are helping to lift the profile of the area, and coupled with very little vacant land remaining in the area, have resulted in increased demand creating steady price growth. Stafford’s breakdown of housing is predominantly single-unit dwellings, with a few townhouse and unit complexes. Residents are serviced by Stafford City Shopping Centre, Brookside and Westfield Chermside, as well as Everton Plaza in Everton Park. Cinema complexes are available at both Stafford City Shopping Centre and Westfield Chermside. Families can also make use of the various walkways, bikeways, parks and sporting grounds in the area. Stafford also has good access to both public and private, primary and high schools, including Stafford State School, Everton Park State High School, Padua College and Stafford Heights Primary School. The Prince Charles and adjoining Holy Spirit Hospitals are also close by, located in Chermside. The Royal Brisbane Hospital is approximately 20 minutes from Stafford. Bus routes in the area are well distributed to cater for city workers and local travellers alike, while railway stations at nearby Enoggera and Alderley provide an alternative means of public transport. 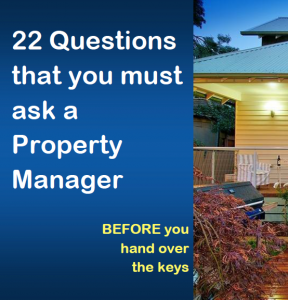 Real Property Management Australia are Stafford Property Management specialists.